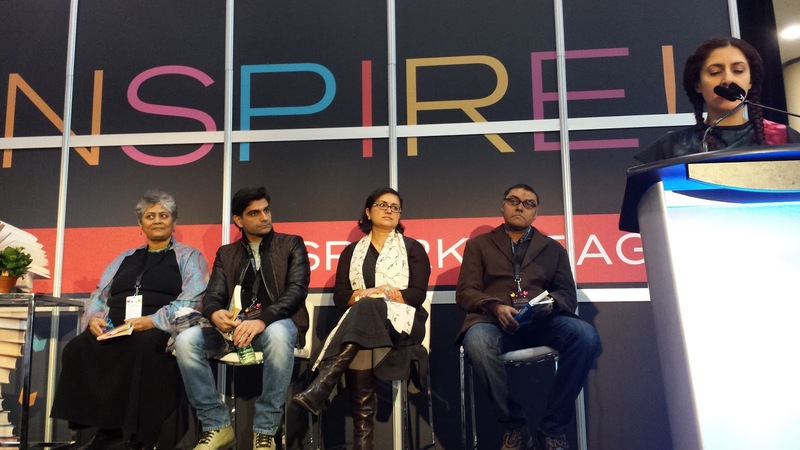 Inspire – the first Toronto International Book Fair was a major success, both in terms of the participation of authors, publishers and readers. The three-day festival saw some big name authors discuss their work, they included the perennial favourites such as Margaret Atwood, and also rising stars such as David Bezmozgis. 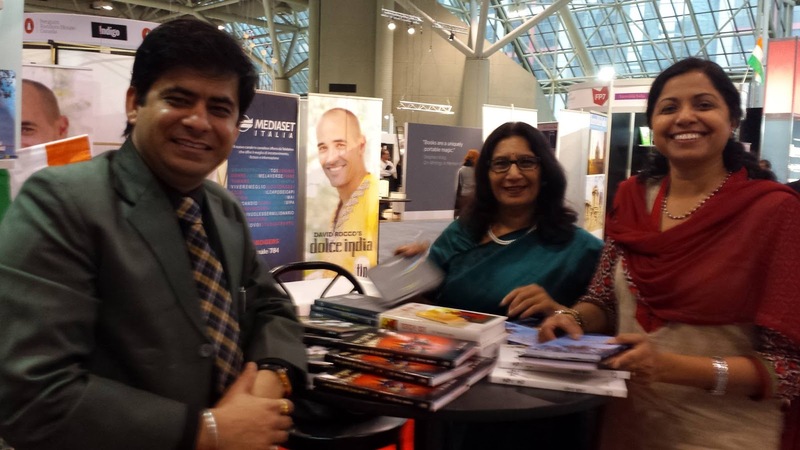 The festival attracted 400 authors, and thanks to my friend Meenakshi Alimchandani, who was part of the organizing team, I had the privilege of being associated with the festival, facilitating the readings of Canadian South Asian authors. 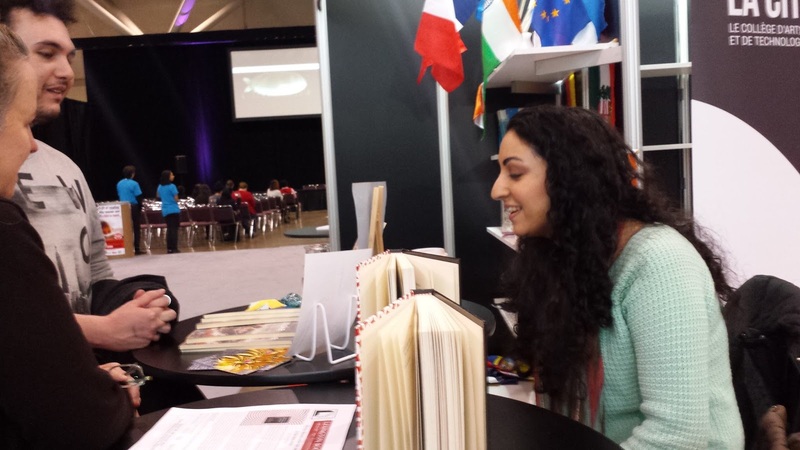 The authors who read at the South Asian kiosk included Cheran, Cheryl Antao-Xavier, Kumkum Ramchandani, Braz Menezes, Farheen Khan, Samreen Ahsan, Vicky Bismillah, Kwai Li and Fong Hsiyng, Meena Chopra, Tula Goenka, Jasmine Sawant, Sheniz Janmohamed, Anindo Hazra, Pushpa Acharya and the Hindi Writers’ Guild led by Shailja Saksena. 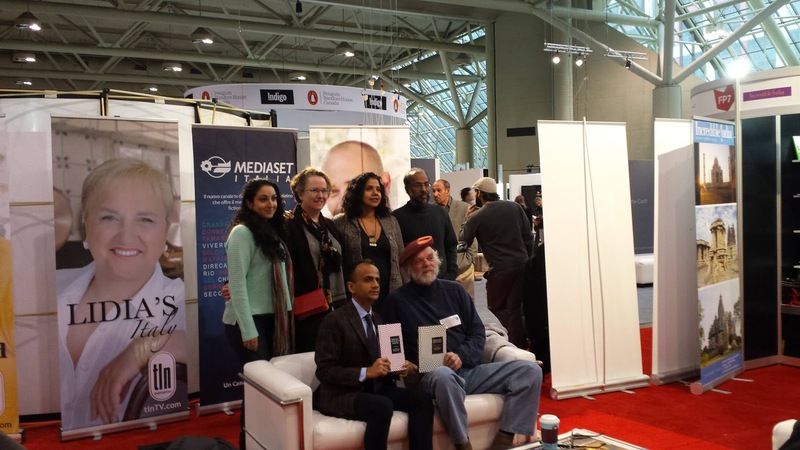 Eminent diplomat and author Navtej Sarna also read from his works, but at a different venue at the sprawling Metro Toronto Convention Centre. The festival gave me an opportunity to meet and make friends. I met the suave Antanas Sileika, who gifted me a copy of his novel Underground; and I also met the enterprising Robert Morgan of Bookland Press. The main South Asian event at the festival was the collaboration between Inspire and the Jaipur Festival. The panel comprised AnirudhBhattacharyya, a veteran journalist-turned novelist; Manjushree Thapa, novelist; Anosh Irani, novelist; Jasmine D’Costa, novelist; Priscilla Uppal, poet, moderated the readings. Anirudh read from his debut novel The Candidate, which is a breezy satire on the crazier than Rob Ford world of Indian politics. Anosh Irani read from Dahanu Road, and Jasmine D’Costa read from her collection of short stories Curry is Thicker than Water. Manjushree Thapa read from her new novel Seasons of Flight. 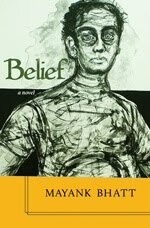 An American woman, a schoolteacher, earnest and frizzy, once came up to Prema and asked, ‘Mind if I ask where you’re from? Originally, I mean?’ But when she heard the answer she just stammered, unable, perhaps, to admit that she didn’t know where that was.